In the final words of these lectures, Steiner tells us that he "did not want to describe the development of natural science in recent times in a merely documentary fashion." Instead he wanted to show us "the standpoint of a human being who comprehends this natural-scientific development and, in a difficult moment of humanity's evolution, knows the right things to say to himself in regard the progress of mankind." I could not find better words in myself to summarize the theme of this wonderful book than he did in closing his lecture series. Do you, dear Reader, know the "right things to say" during this moment of humanity's evolution as regards the progress of humankind? Why should anyone care? What's this evolution stuff about anyway - didn't that stop when man evolved from apes? Isn't our science today the best science of all possible sciences? All very good questions and ones that Steiner addresses in this lecture series. [page viii] Their basic argument is that modern science, and the scientism based on it, so far from being the only possible 'reality-principle' is merely one way of conceiving the nature of reality; a way moreover that has arisen only recently and which there is no reason to suppose will last forever. There was a dichotomy that occurred in the 15th Century between man and nature and our progress in science to date has depended on that dichotomy in order to proceed. Along the way humanity found itself discovering mathematical truths that later nested into physical truths about the world we live in. Barfield tells us that Steiner "found an answer to a question which has puzzled many thinkers: why should mathematics, a seemingly artificial construction of the human brain, have been found an effective key to unlock so many of the secrets of nature?" (page xi) What we are to find is that our fall from "psychic participation in life" was precipitated by the same mathematical mode of thought that will be instrumental in leading us back to a reunion with that same fullness of life. Barfield tells us to expect more details about that aspect in Steiner's lectures published in The Boundaries of Natural Science, which volume is next on my agenda to read and review. One might expect that Steiner would demean science in these lectures and one would be all wet if one did. On the contrary he leads us to perceive in our modern scientific perceptions the seeds of a new spirituality, and the fruits of a freedom that we could not have achieved but for the scientific path we have trod for almost six centuries. [page 2] My opinion, based on objective study, is that the scientific path taken by modern humanity was, if rightly understood, not erroneous but entirely proper. Something important was lost to humanity around the year 1453; what was previously accessible by humankind as shining spirit suddenly returned nothing. This thought occurred to Cusanus (Nicolas of Cusa) while sailing home from Constantinople looking up at the stars. He later wrote about this thought in his book, Docta Ignorantia or On Learned Ignorance. Meister Eckhart also expressed this same thought as, "In all eternity, I must fetch the I from the 'nothingness' of God." In Eckhart's original German writing, there is a parallel literal meaning: the word ich (I) can be fetched from the word Nichts (nothingness). [page 9] If we go back into earlier times, we find that in former ages it was possible, when the soul turned its gaze inward into itself, to behold the spirit shining forth within. [page 12] "Conceive of mathematics as so powerful and reliable that it can force the sense world into mathematical formulas that are scientifically understandable." [page 20] "I listen to the silent universe and fetch this Logos-bearing soul out of the silence. I love the Logos because the Logos brings tidings of an unknown god." [page 24] Once upon a time, in the first phase, the soul experienced the spirit's archetype within itself. It saw itself as a the messenger of spirit. In the second phase, the soul inwardly experienced the living image of God in the Logos, it became the bearer of the Logos. Now, in the third phase, the soul becomes, as it were, a vessel for ideas and concepts. These may have the certainty of mathematics, but they are only ideas and concepts. [page 27] We see how the first phase extends to the Eighth Century B. C., to the ancient sage of Southern Europe whom I have described today. The second extends from him to Nicholas Cusanus. We find ourselves in the third phase now. The first is pneumatological, directed to the spirit in its primeval form. The second is mystical, taking the world in the broadest sense possible. The third is mathematical. . . The age of mathematizing natural science proceeds from Cusanus into our time and continues further. What are we doing today when we use mathematics to express in Cartesian coordinates the three dimensions of space? We are using a way of thinking that is thought-out but not experienced. How would one experience the three dimensions of space? Is that even necessary to consider? If we wish to understand the origins of natural science, it is. [page 30] Man would have never thought of these [three perpendicular dimensions of space] if he had not experienced a threefold orientation within himself. One orientation that man experiences in himself is from front to back. We need only recall how, from the external modern anatomical and physiological point of view, the intake and excretion of food, as well as other processes in the human organism, take place from front to back. . . . I do something with my right arm and make a corresponding move with my left arm. Here, the processes are oriented to left and right. Finally, in regard to the last orientation, man grows into it during earthly life. In the beginning he crawls on all fours and only gradually stands upright, so that this last orientation flows within him from above downward and up from below. My wife experiences the three dimensions in this way, which is dramatically different from the bare, bleak mathematical space layout of analytic geometry that her husband was trained in during his college courses studying for his degree in physics. If Steiner's analysis of the experiencing of spatial coordinates from within oneself is too abstract and unreal, he leads us to consider the origin of numbers, such as the number two, which comes from the German word zwei [tsvei]. It is rooted in the processes of entzweien, to "cleave in twain" and zweifeln, "to doubt" or to be two minds of. Our words "double" and "twin" can be seen to originate from doubt and twain. [pages 32, 33] It is not mere imitation of an external process when the number two, zwei, is described by the word Entzweien, which indicates the disuniting, the splitting, of something formerly a whole. It is in fact something that is inwardly experienced and only then made into a scheme. If we wish to discover this former way of experiencing reality inward, we have only to go back to the writings of Rene Descartes and Baruch Spinoza. No doubt some of you have already read their writings and are of the opinion that no such description exists in their writings. If so, perhaps you were looking to find the new (your way of thinking) in the old when you read them. Steiner leads us rather to understand how to find in the old (their way of thinking) the beginnings of what we call the new. [page 33] Immerse yourself in these thinkers, not superficially as is the practice today when one always wants to discover in the thinkers of old the modern concepts that have been drilled into our heads, but unselfishly, putting yourself mentally in their place. You will find that even Spinoza still retained something of a mystical attitude toward the mathematical method. Steiner says that running in a triangle gives one a completely different experience in the blood from running in a square. During the pre-Renaissance time when "soul still felt movement as a mathematical experience and blood as a mystical experience" no one could have conceived of the orbits of the planets traversing a system of abstract coordinates. In the time of Harvey, a contemporary of Francis Bacon, the circulation of the blood was beginning to be understood as physical circulation with the heart in the center, just as the planets were soon to be understood as a physical circulation with the Sun in the center. The very idea of the Renaissance as an abstract label applied to a confluence of new ideas, of new ways of interpreting what had formerly been a direct inner experience, was made possible by humanity developing the ability to divorce concepts from a direct experience of the blood. The idea of the Renaissance just being a period of history just sitting back in time is like the Copernican coordinates divorced from the heart experience just sitting out in space. R. G. Collingwood said that all history is the history of thought. One can see that, not only was natural science affected by this dramatic change in 1453 AD, but even the way we understand history became changed in the process. Geometrical and arithmetic forms were once experienced directly in the blood as intense inner experiences. But an amazing thing happened during the Renaissance when abstract coordinates replaced humanity's concept of direct inner experiences. [page 43] This conception could change into a different one only when men lost their awareness that everything quantitative - including mathematics - is originally experienced by man in direct connection with the universe. When a mathematician or physicist today has an insight and expresses it in a mathematical formula, they have had a supersensible experience which they communicate to others in a communal language (mathematics). They wonder in amazement when later the real world is found to line-up with their mathematically described world! The reason for amazement can be described simply: the supersensible world is always aligned with the material world or what they call the real world. Steiner helps us, at last, to unravel the knots of this puzzle. [page 44] The most that can be said of such an imposition of mathematics on natural phenomena is that what has first been mathematically thought out is then found to fit the phenomena of nature. But why this is so can no longer be discovered within this particular world perception. Steiner describes how Giordano Bruno experienced the Copernican world conception in the old way, within his own being and points to Isaac Newton as the first to truly describe the new conception of the world based on abstract mathematics. As such Steiner takes his place alongside Dr. Andrew J. Galambos in paying respect to Newton for being the originator of modern science. [pages 47, 48] Newton is pretty much the first to approach the phenomena of nature with abstract mathematical thinking. Hence, as a kind of successor to Copernicus, Newton becomes the real founder of modern scientific thinking. [page 50] In fact, in Newton's physics we meet for the first time ideas of nature that have been completely divorced from man. . . . By Newton's time mathematics has become abstracted. Man has forgotten that originally he received mathematics as an inspiration from God. Later Newton was to feel uncomfortable with his tearing man completely away from the spirit, and in his book Optics talked about space as the "sensorium of God." Bishop Berkeley in a similar manner rejected the ideas of infinitesimals, regarding them as a loss of reality, since the only thing that existed for him was what could be experienced. The mathematical processes of differentiating and integrating, in Steiner's view, are similar to what one might do if one were to chop a living human body into small pieces (differentiate) and then place the pieces back together as if it were a jigsaw puzzle (integrate). [pages 54,55] To differentiate is to kill; to integrate is to piece the dead together again in some kind of framework, to fit the differentials together again into a whole. But they do not thereby become alive again, after having been annihilated. One ends up with dead spectres, not with anything living. One might think that Steiner had little respect for science, but that would be wrong. He had a great respect for and understanding of the evolution of consciousness. He knew that people "like to regard as great thinkers those men who have said something or that they approve. But if the great men also said something they do not approve, they feel very superior and think: Unfortunately, on this point he wasn't as enlightened as I am." (pages 56,57) Having grown up in a culture completely divorced from the spirit since the last vestiges of understanding spirit disappeared with Bruno, Berkeley, and Newton, we exude a hubris about our world, up until now. It does not serve us well. Unless we let go of our myopic attitude of superiority, we will not be able to find collectively the spirit in nature, that same spirit that each of us will find individually upon our death. What is the value of science as we know today, according to Steiner? [page 57] Things that can only be learned from a corpse cannot be learned by a person who is unwilling to examine the corpse. Therefore certain mysteries of the world can be comprehended only if the modern scientific way of thinking is taken seriously. . . . The scientific world view must be taken seriously, and for this reason I was never an opponent of it; on the contrary, I regarded it as something that of necessity belongs to our time. . . . It was the misinterpretation of such scientific discoveries that I opposed. [page 81] Therefore, in spite of its great achievements we can say that science owes its greatness to the fact that it has completely missed the essential nature of man. In case, you dear Reader, want evidence that we are still "missing the essential nature of man" take a look at this quote from a well-known scientist of our day, Richard Dawkins: "If you want to understand life, don't think about vibrant, throbbing gels and oozes, think about information technology." To help us understand our modern sciences of physics and chemistry, Steiner takes us back for physics to our earlier understanding of motion in its internal human experience, for chemistry to our internal human experience of "throbbing gels and oozes" to use Dawkins' derisive terms. The Table below appears on page 93 and I've added for completeness the sciences of psychology and pneumatology. The latter is the now defunct science of the spirit. Defunct I define operationally as: cannot be found in the Encyclopedia Britannica or many dictionaries. It means the science of the spirit, which Steiner says has been reduced to almost nothing, a jot in the footnotes of science today, "the mere dot of the ego." (page 107) Physics is the most abstract science — it is the most separated from human existence, and as a result, it consists of laws that are exact and universally applicable. Chemistry on the other hand can never be completely separated from the gels and oozes of human life, and as such will never be able to reach the status of physics because it is not "possible to take as much of the etheric body into the external world as was accomplished in the physical body." One way to interpret the above Table to take it as a key to understanding how knowledge of the science in the fourth column amounts to an inner experience of the body listed in the third column. Physics is the inner experience of our physical body abstracted mathematically into laws. Chemistry is the inner experience of our etheric body abstracted to the degree possible into forms approximating laws. Psychology, the inner experience of our Astral body of thoughts and feelings. And Pneumatology, that almost non-existent science, the inner experience of our immortal spirit in our "I" or Ego organization. Here's how Steiner describes the components of the Table. [page 107] All this took the place of what had been experienced as a unity, when men of old said: We have four elements, earth, water, air, and fire. Earth we experience in ourselves when we experience the physical body. Water we experience in ourselves when we experience the etheric body as the agent that moves, mixes, and separates the fluids. Air is experienced when the astral body is experienced in thinking, feeling, and willing, because these three are experienced as surging with the inner breathing process. - Finally, warmth (or fire, as it was then called) was experienced in the sensation of the ego. Again we find that our science of today is rife with misinterpretation of the human body. We find wonderful photos of the organs of the body in full color, layered over one another so that one can see how the organs are aligned in space from front to back. What's missing, however, is the essential nature of the etheric body: the throbbing gels and flowing oozes. [page 110] Laymen see the pictures and have the impression that this is all they need to understand the body. But this is misleading. It is only one tenth of man. The remainder ought to be described by drawing a continuous stream of fluids interacting in the most manifold ways in the stomach, liver, and so forth. Quite erroneous conceptions arise as to how man's organism actually functions, because only the sharply outlined organs are observed. So far, one might argue, Steiner has not said much that is good about modern science, nothing that would indicate why he even respects it. Anyone who has read Steiner's classical book The Philosophy of Freedom (1898) knows that freedom is something that Steiner knows something about. Keep that in mind as you read his words about the impact that modern science has had on freedom. [page 114] The development towards freedom, for example, would never have occurred had the ancient experience of physics, chemistry, psychology, and pneumatology survived. Man had to lose himself as an elemental being in order to find himself as a free being. He could only do this by withdrawing from himself for a while and paying no attention to himself any longer. . . . During this interim, when man took the time to develop something like the feeling of freedom, he worked out the concepts of science; these concepts that are, in a manner of speaking, so robust that they can grasp nature. Unfortunately, however, they are too coarse for the being of man. Science brought us to a feeling for freedom, but the very modes of thought that led us to grasp the natural world in a robust manner were too coarse to allow us to understand the human being, up until now. To truly understand science, we must look to the parallel evolution of our consciousness and the freedom that accompanied it. What's this all about? some of you may be asking. Where do we go from here with all these insights into how science evolved to where it is by distancing itself from a direct experience of the human being as much as possible? 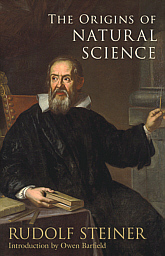 [page 126] And infinitely much needs to be set right, particularly in the domain of science. Natural science has grown tall; it is like a nice teenager, who at the moment is going through his years of unpolished adolescence, and whose guidance must be continued so that he will become mature. 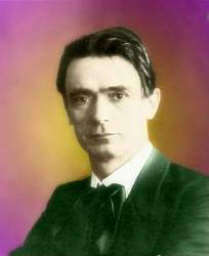 When we cooperate to achieve this goal, we will return to our earlier understandings of the world, but in a new way, infused with the insights of modern science and with the new-found consciousness of freedom that we have evolved in the only way possible: by straying from our inner experiences to develop a robust understanding of the world in which we live.